Classy 14mm golden round south sea pearl pendant. 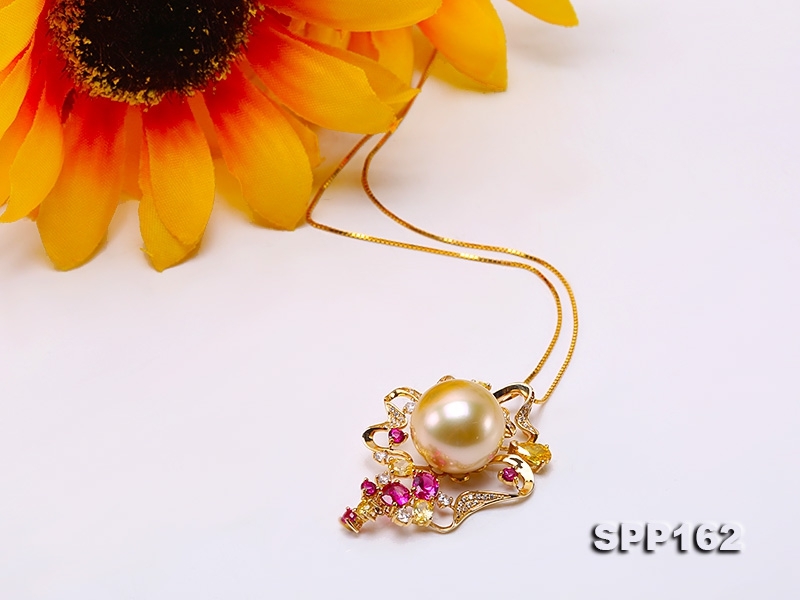 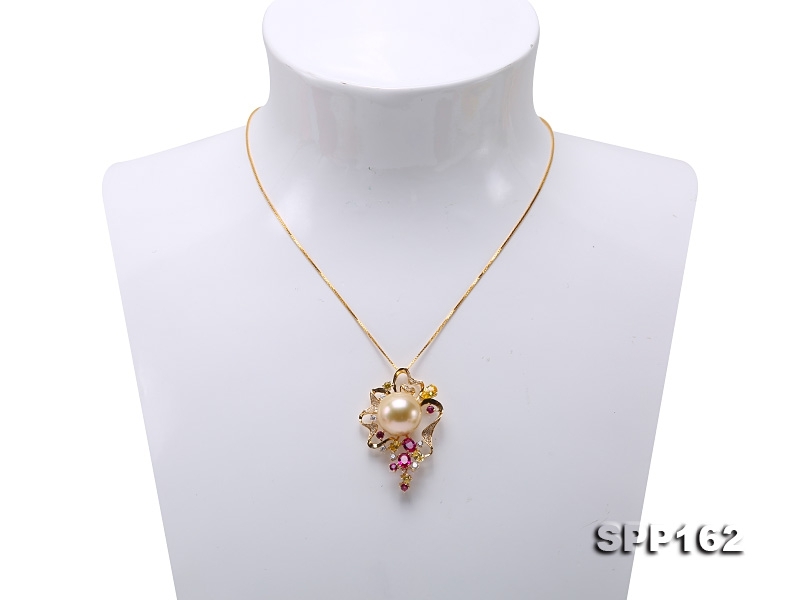 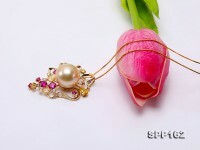 The delicate setting is exquisitely crafted with 14k gold and dotted with colorful zircons for decoration. 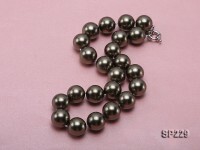 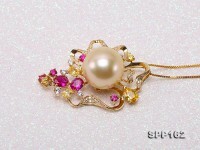 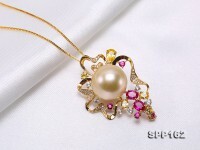 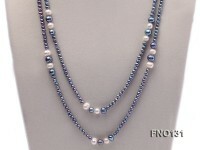 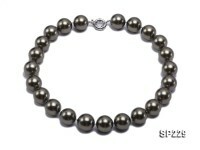 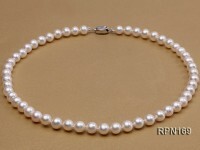 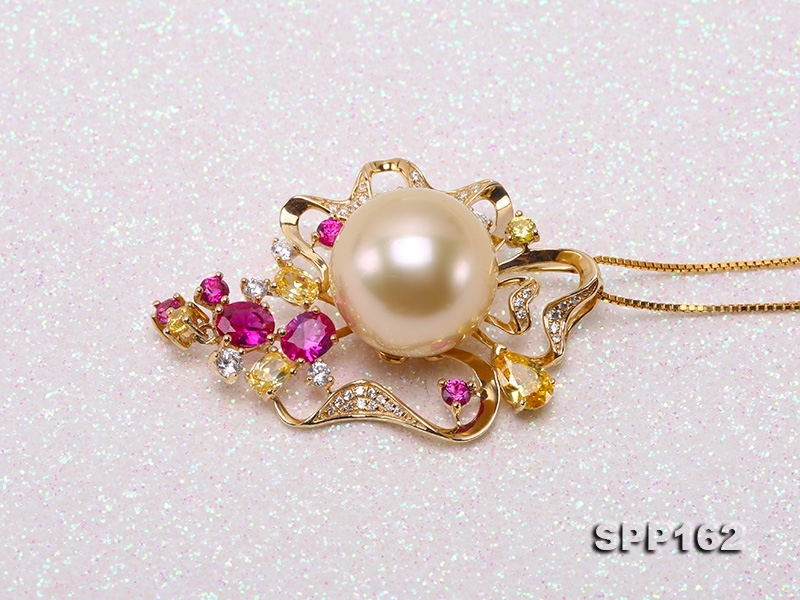 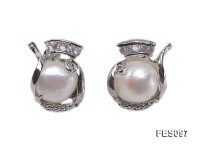 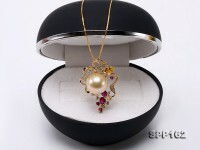 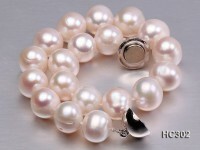 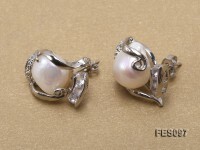 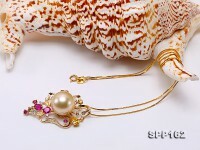 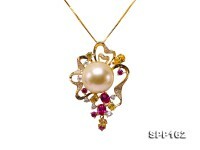 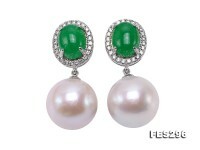 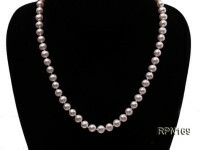 The south sea pearl has top quality and value with lustrous and flawless golden skin. 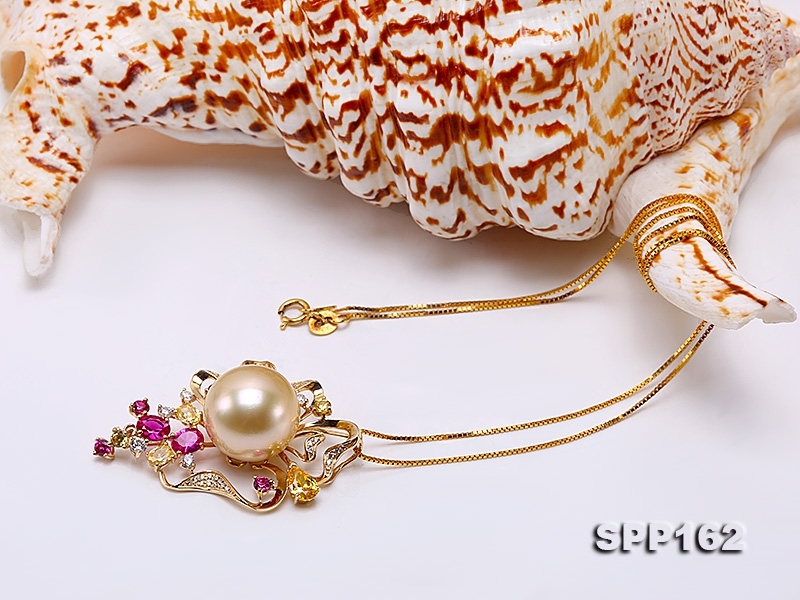 The south sea pearl pendant features an unique gorgeous design and a combination of natural beauty and ultimate luxury touch. 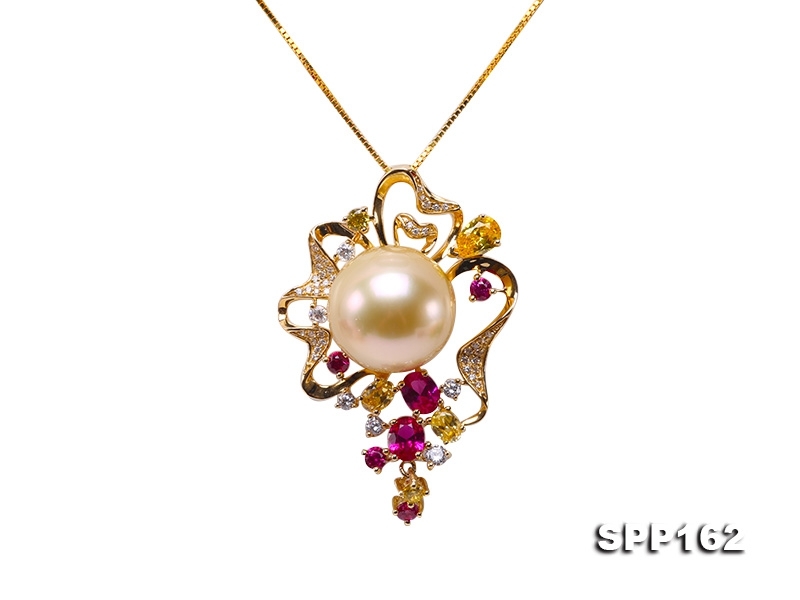 It is eye-catching even at the very first glance and captivated your deep affection due to impeccable perfection and elegance.